I’ve wanted to be an actress for as long as I can remember. Theater specifically has been my first love and passion in a way nothing yet has been able to match. This is funny to say since when I had my psychic awakening, it felt like a fundamental shift in the direction of my life and a signal I should forever leave acting behind. However, I went back to school ostensibly to finish my BA in order to get my Master’s and become a licensed therapist. I majored in theater again because, I told myself, it would be faster to graduate since that was my original major. The old love woke up with a ferocity that showed it had never really gone away. I realized I didn’t want to be a therapist, I wanted to act and that was the real reason I went back to school. This has proven to be severely problematic for me because, as you will see, my relationship with theater has never been an easy romance. I’ve likened this particular passion to a fire, the closer I get the more I am burned. My journey with theater speaks to an aspect of life purpose that is perhaps less pleasant but deeply important. Your purpose is not here to make you happy, it is here to make you grow. I originally gave up theater because I didn’t get into the acting program at Southern Oregon University. It was the culmination of years fighting an uphill battle to act, and I finally broke. This devastated me at the time, but it also put me directly on the path that led to my psychic awakening and the work I am doing now. When I went back to school recently and rediscovered my love for acting, it felt like I had come full circle. I had learned many lessons, and was ready to perform on stage as an integration of those lessons. Then, almost exactly as before, I didn’t get into the acting program at Portland State University. It would be too much to explain exactly how I failed, but suffice to say it happened in such a way I feel it was not a reflection of my abilities as an actress but of a deeper cause. Since then the same uphill battle experience has appeared in force, and I feel myself thwarted in a manner that reminds me of why I gave it up before. Theater has always presented in my life as a locked door. In efforts to find a way in, I have pursued it with everything I have, given it up completely, gently dabbled in it, and passionately pursued it once again. However my approach, and however much I work on myself, I have yet to find the key that unlocks that particular door. This article is not a story of success. It is a story of failure. It is one month after I didn’t get into the acting program. I am currently sitting outside the locked door of theater, still trying to find my way in. I vowed this time I would not give up acting again no matter what, but I wonder. Sometimes we want something not because of the thing itself, but because of who it requires us to become in order to achieve it. I have not yet been able to explain why I struggle so much to do the art form that speaks to me the most, but I do know my struggle reflects an attachment of ego. Right now, the idea of acting at any level feels too good to be true. It’s like a shiny unreachable gem. Any time something is idealized like this it reflects an internal imbalance, I must heal something inside and claim for myself whatever I think it is theater will give me. Then I may or may not still want to act. Purpose has many expressions. My work as a psychic is one aspect of my purpose which I fully love and embrace, yet that work has always come easily to me. The challenges associated with it, while meaningful, have been comparatively small and doors have flung themselves open as I do the work itself. With acting, my purpose pushes me harder and demands I grow into a level I don’t yet know how. The amount I want it reflects the amount I must be willing to grow to achieve it. I can’t fake my way into it. If there is something like this for you, something you yearn for intensely yet can never have, listen to the locked door. What are the benefits of this challenge in your life? What are you being asked to let go of? How are you making it hard? How can it be easy? These are the questions I sit with today. 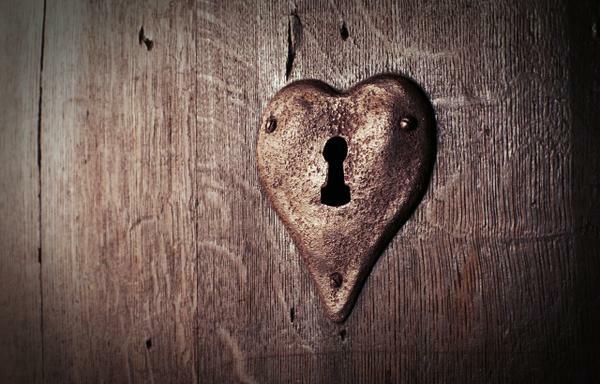 When I find the key to my current locked door, I will share that story. I know from experience that the benefits of going through this difficulty will last forever, and the problem will end the moment I no longer need it.